Join us for two incredible workshops with national knitting instructor Faina Goberstein! If you are an admirer of beautiful mosaic stitch patterns and want to learn how to knit them or to know more about this type of colorwork, you will love this class. The whole world of slip stitch patterns will open up for you. Get to know all 4 distinct groups of slip stitch techniques in one or two colors including mosaic knitting. 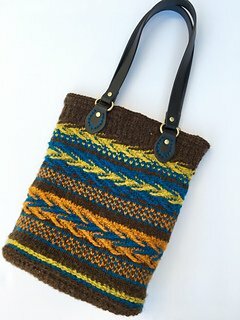 In this class, you will make swatches and talk about using slip stitches in projects. You will learn how to work with charts; understand special abbreviations; how to chose colors and yarns; and how to carry color not in use up to the next row for slip stitch knitting. There will be many samples and swatches on display from Faina's designs. Bring your questions and get ready to be inspired. Sign up for both Reversible Slip Stitches and Slip Stitch Knitting: Beyond Mosaic, and you'll also receive lunch at Mendoberri! Cancellation Policy - Student cancellations must be made at least two weeks prior to the first session to receive a refund for the class fee. After that date, class fees are not refundable and cannot be transferred to another class. Any yarn or supplies purchased for the class are also not refundable. 3 Kittens will only cancel a class if no students have signed up; however, we may need to reschedule due to weather or illness. Instructor Bio: Faina is the author of The Art of Seamless Knitting and the Art of Slip Stitch Knitting. We are pleased to be able to bring Faina to our store for one day of workshops!